Nasi Pedas dan Bebek Crispy Dewata Gading Serpong: Finally, Another Balinese Food In Serpong!! Lately I've been craving for Balinese food more precisely suckling pig but here I can't find any. Someone, somebody need to look up for this, well seriously it's gonna be big! So rather than nothing, nasi pedas sounds just good. 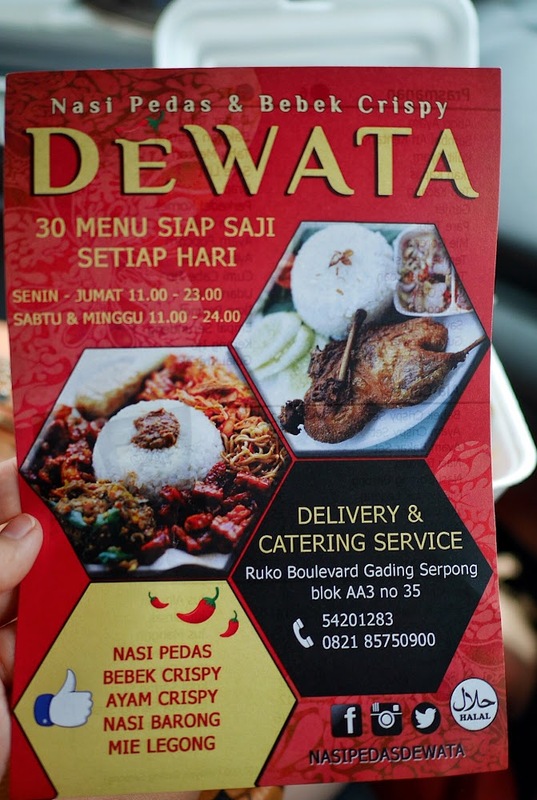 Found a new place for Balinese food in Serpong called Nasi Pedas dan Bebek Crispy Dewata. 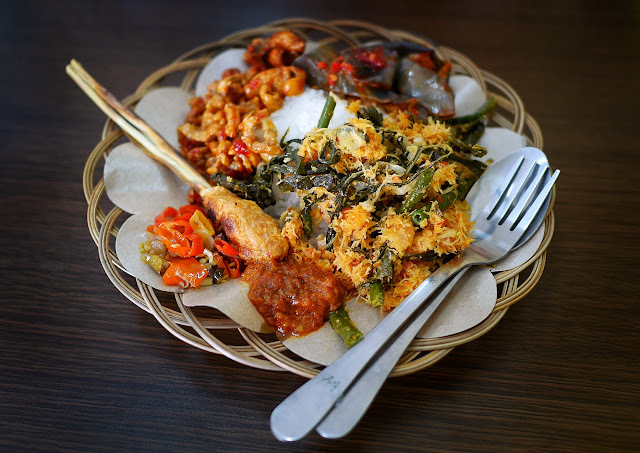 Actually I am a frequent of Warung Made Nasi Bali-Ku Pasar Modern BSD City (they're also at Kencana Loka), the only reason because it's the only I can find and remain being my favorite in Serpong. 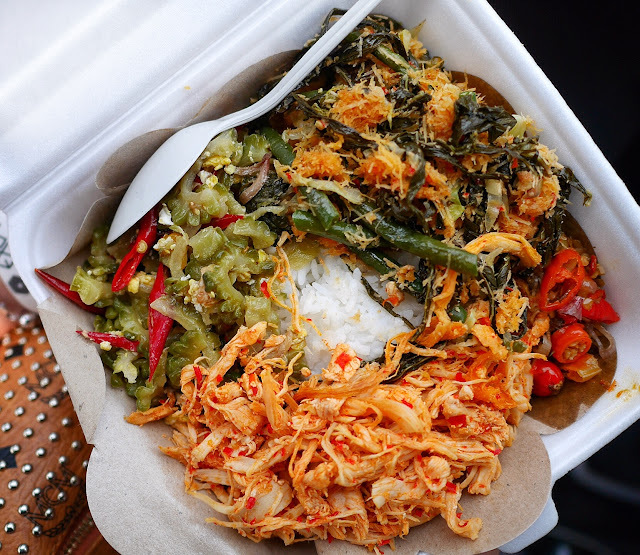 When it comes to Balinese food, sambal matah is compulsion for me, following by urap Bali. There were so many to choose, from spicy eggplant to sate lilit (fish satay), one that caught my heed was the crispy chicken skin which was far from my expectation, I was expecting savory umami taste. I'd rather have more ayam pelalah with their home sambal, super spicy! Complementing dining option in Gading Serpong that already filled with ample amount of restaurants, next time you know that Dewata gives another option for Balinese food there. 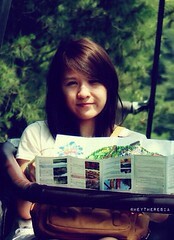 Though there are some that they need to work on, hopefully it can be better soon. Until next time, I'd like to drop by to savor the crispy duck. 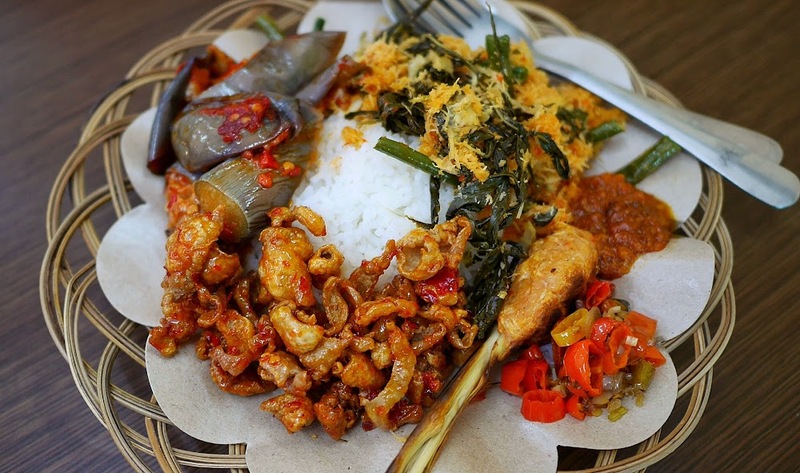 now you can find nasi babi guling at Warung Pradnyani in Gading Serpong (same row as Kwetiauw Akang). I haven't try it yet so..